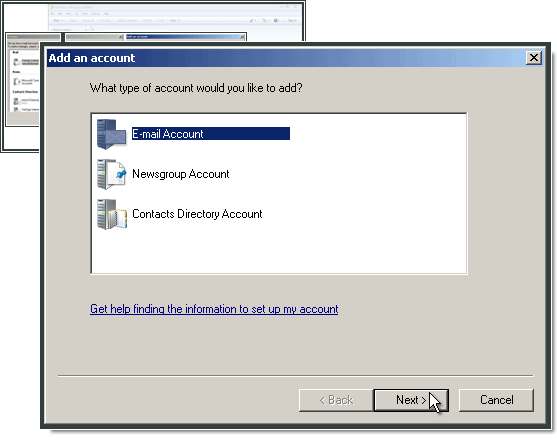 Start Windows Live Mail, select Tools and then Accounts. 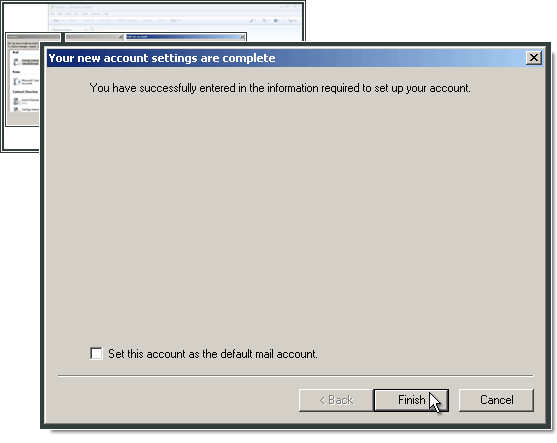 Click Add and select E-mail Account. In the E-mail address field, type in your e-mail address. Next, type in the password which you created alongside the e-mail account. In Display Name, type in your name. 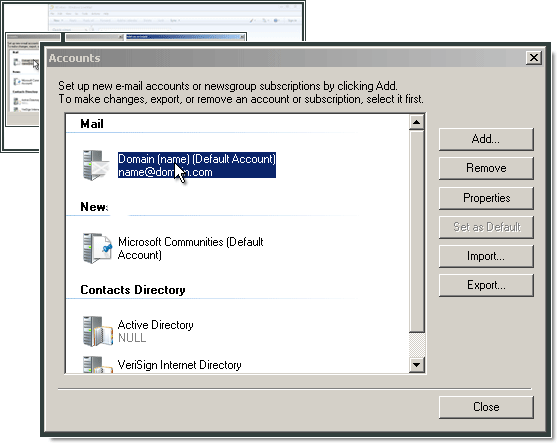 Select Manually configure server settings for e-mail account. In the Incoming server field, type in imap.one.com. Use port 993 for the Incoming server and select This server requires a secure connection (SSL). Log on using Clear text authentication. In the Login ID field, type in your full e-mail address. 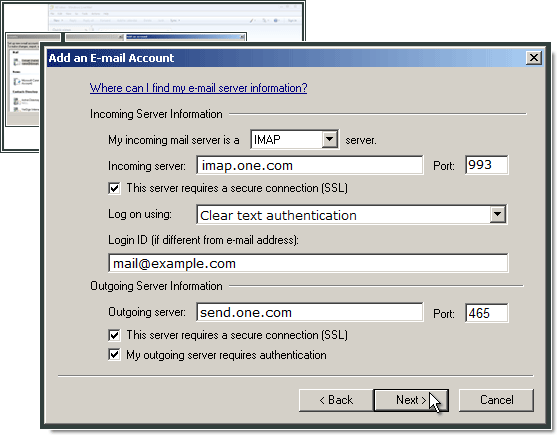 In the Outgoing server field, type in send.one.com. Use port 465 for the outgoing server. Select My outgoing server requires authentication and This server requires a secure connection (SSL).